For Kell, the term “kind alpha” is a contradiction, because he’s never known one. He went from abusive father to abusive mate, and for twenty-four years, he’s simply done what he’s told. But Ronin asks Kell what he wants. What he likes. Ronin sees him, and it’s both confusing and delightful. But Kell is facing prison time at best, execution at worst, and as his trial date looms, he can’t indulge in a fantasy that will never come true… or can he? This is the second story in this series and it is powerful, heartbreaking, anger inducing. and in the end, redeeming. 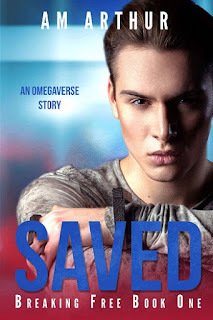 You start with seeing Kell as a young Omega. He knows that his father doesn't think much of him, but he wants to try and protect his brother as best as he can. On his birthday, he decides that he will get a treat and runs into Ronin, an older Alpha. Ronin, for his part, is not really a part of Kell's story until he is called in by Tarek, his old college friend. But when Ronin comes back in to Kell's life, he does so with a purpose and he is fighting not only for Kell's life but for his own happiness. This is a story about being beaten down, without being broken. Arthur was able to weave a tale of desperation, solitude, and then redemption and love. While the subject was hard to read about, it was a story that was told in a very organic manner and I loved how everyone interacted. I hope there are more in this series, as I have enjoyed them a lot. 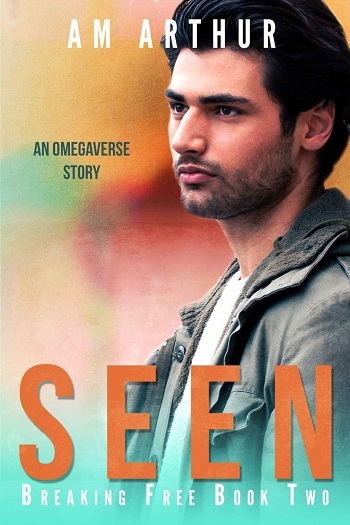 Reviewers on the Wicked Reads Review Team were provided a free copy of Seen: An Omegaverse Story (Breaking Free #2) by A.M. Arthur to read and review.